Last night we had sushi with friends at Wabi Sabi, the only Japanese restaurant in Pesaro, located off the Piazza del Popolo. It was pricey compared to the U.S., but it was so delicious! It’s been too long since I’ve had maki rolls and tempura. 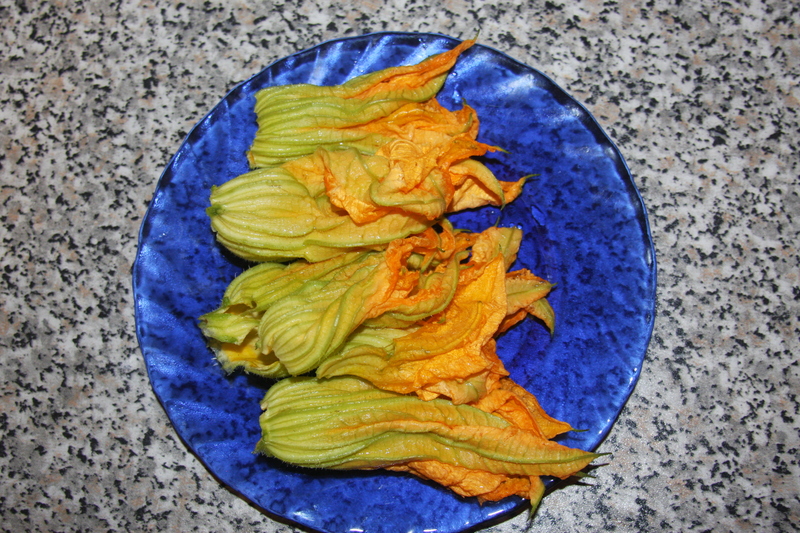 One of the tempura vegetables was a zucchini flower, which is in season now. We fried our own version the other day—fried zucchini flowers (or, sciurill’ in Michael’s family’s dialect) are one of my favorite Italian appetizers in the summer. This entry was posted in food and tagged food, Italian, Pesaro, sushi. Bookmark the permalink. Thanks for the clarification! I hear another sushi bar is opening soon nearby, but I’m not sure where.